New York City offers so much in terms of art and culture that any art lover will immediately feel at home there – no matter where they are coming from. 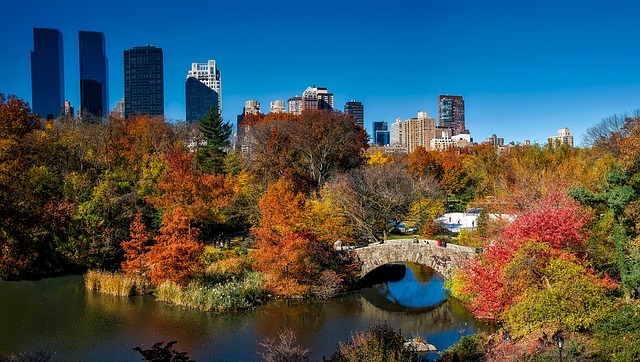 Be it museums, galleries or other places, The Big Apple has it all. There so many different options that you might not even know where to start. So here’s a brief list of the top places for art lovers in New York City. 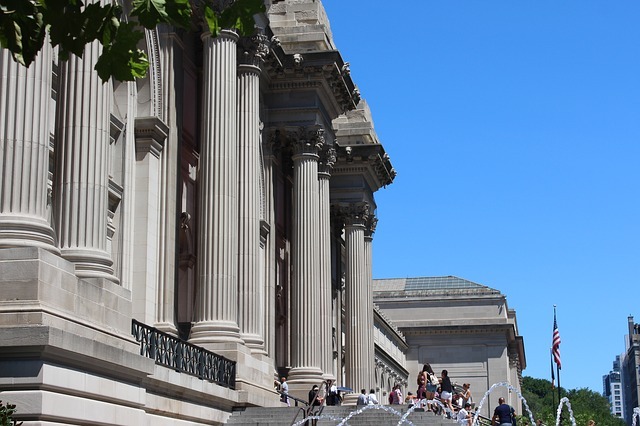 Metropolitan Museum of Art is one of the top places for art lovers in New York City. This is where you start. Also known as the Met, this place is the largest art museum in the country. It’s also one of the most visited art museums in the world and it’s even among the most visited museums of any kind, with just over 7 million visitors a year. If you go to the Met, you can choose what to see from more than two million artworks. They are part of the permanent collection and one of its 17 curatorial departments. There are artworks from ancient Egypt and classical antiquity, there are paintings and sculptures from the most famous European artists as well. Then there’s a large collection of American and modern art and you can also see items belonging to Byzantine, Islamic, African and Asian art. On top of this, the Met offers a lot of workshops, classes, lectures, concerts and educational resources, so everyone can find something for themselves. The Met’s been there for almost 150 years, starting from 1870. It was originally situated at the Fifth Avenue, while the main building is nowadays on the eastern edge of Central Park. There’s another, smaller location called The Cloisters, situated at Fort Tryon Park in Upper Manhattan. This is where you can see the museum’s collection containing artworks from Medieval Europe. The Met Breuer at Madison Avenue on the Upper East Side is another place that belongs to the museum and features modern and contemporary art. It also belongs to the most popular places for art lovers in New York City. 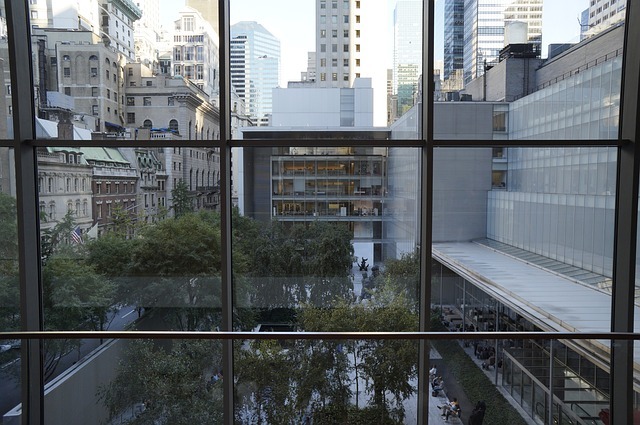 MoMa is there in Midtown Manhattan and is one of the largest and most important modern art museums in the whole world. What’s there to see? Paintings, sculptures, drawings, works of architecture and design, photography, prints, film and electronic media. But also about 300,000 books and exhibition catalogs on top of that and over 40,000 files of individual artists’ and groups’ ephemera. Visitors can admire the paintings of some of the most famous artists from different parts of the world, such as Vincent van Gogh, Paul Cézanne, Paul Gauguin, Henri Matisse, etc. So it’s easy to see why this place made it to our list of the most recommended places for art lovers in New York City. Whether you live in New York and its surrounding areas or you’re just visiting, neither the Met or MoMA are to be missed. If moving to Brooklyn, Manhattan or any other place near-by, make sure those two end up on your to-do list once you get there. The Museum of Modern Art (MoMA) is another great place on our list. Also known as the Whitney, this museum was founded back in 1931 by Gertrude Vanderbilt Whitney, a prominent art patron. It has long been one of the favorite places for art lovers in New York City. It’s also in Manhattan and is all about American art of the 20-th and 21-st century. There are more than 21,000 paintings, sculptures, photos, prints, drawings, films and videos over there, by more than 3,000 artists. A huge part of the museum is about exhibiting the work of living artists. The museum’s Annual and Biennial exhibitions cater to younger and less well-known artists and their work. The Whitney used to be located in the Upper East Side up until 2014. Then it was closed and then reopened in 2015 in the Lower Manhattan. If interested in Tibetan art and culture or those from India and neighboring areas, you’ve come to the right place. Rubin Museum of Art is just about that and is located in the Chelsea area of Manhattan. It all started with a private collection of Himalayan art that was assembled by Donald and Shelley Rubin. The Rubins then bought a property in 1998 and had the building remodeled as a museum. Rubin Museum of Art opened its doors in 2004 and it features more than 1,000 items. It doesn’t sound that much after all the figures mentioned above, but it certainly is and you’ll find out that yourself once you get there. The collection contains paintings, sculptures, some ritual objects and fabrics, dating from the 2nd to the 20th centuries. National and international traveling exhibitions also take place at the Rubin Museum of Art. Since we at Dorothy & Martha Moving NYC are huge art aficionados, we could go on with listing museums forever, but let’s now take a look at some other places of interest. James Christie founded the famous British auction house back in 1766. Christie’s opened its New York branch in 1977 and it moved to the Rockefeller Center in 1997. It’s long been a place of interest for well-to-do art lovers and is probably going to stay that way. This is a winter holiday market where local vendors sell art, crafts, home accessories & some delicious food. It’s also a place that an art lover could hardly find anything less than amazing. That’s where you come to find and see artisans and craftspeople of New York City. And almost everything that’s on display is for sale! So you can always find some nice artworks or crafts to further decorate your home. No wonder this is one of the most popular places for art lovers in New York City. It takes place every December at the edge of Central Park. Columbus Circle Holiday Market takes place at the edge of Central Park. What are your favorite places for art lovers in New York City? Those are the first places to visit as an art lover in New York. But options are endless in the Big Apple. So once you’ve visited these particular spots, you’ll have a new list on your mind. After some time, you’ll also come with a list of your own favorites. Then it’s your turn to share it with the world!